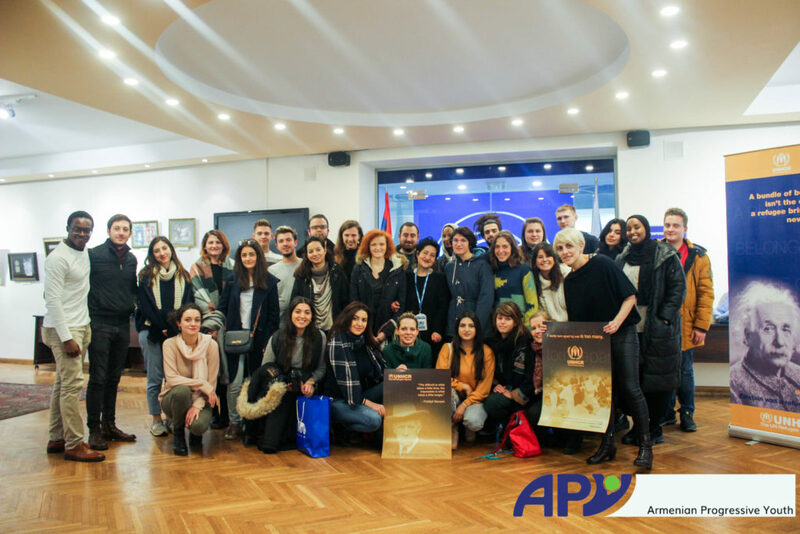 From the 20 to the 28 of November students, youth workers and activists from 15 different countries met in the Armenian capital Yerevan. 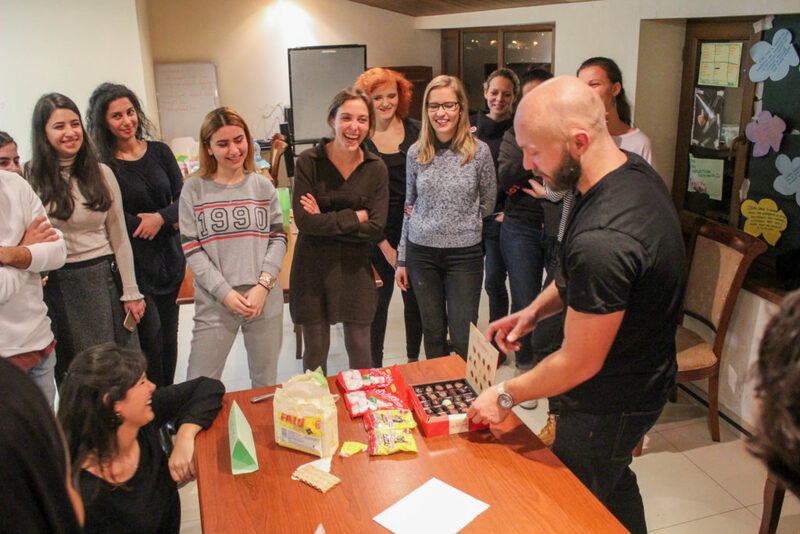 The topic of the training course “Building bridges, breaking walls, managing refugee crisis in Europe” was emigration, the current situation of refugees in Europe and different methods of integration. The training course is two stage project, with a training course as the first part in Yerevan and the study visit in February in Stockholm. 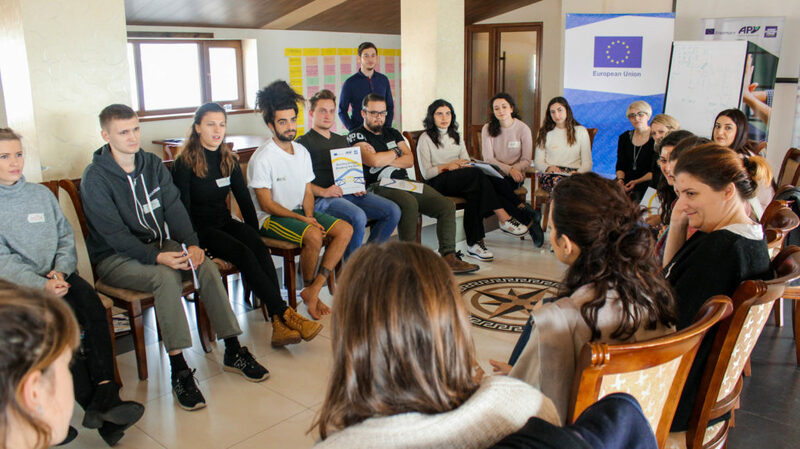 Before the training course we prepared a research about the status quo and the bureaucratic application process of refugees and migrants in our home countries which we had to present to the other participants. Since every participating country held a presentation, we learned that the situation of each country can differ. While some countries have difficulties hosting a lot of refugees and are more popular to immigrate in others face the problematic that a part of their population emigrating to other countries to look for better living opportunities. To get a deeper understanding we also learned about the definition and examples of the key vocabulary related to migrants and refugees such as emigration, immigration, multiculturalism, integration etc., so we were able to use it in the right way. In addition to that we used role plays for a better understanding of the background of refugees and migrants. One of them was called “Where do migrants stand”. In this role play we were given “hidden” roles of migrants and refugees. The role play started out with all participants of the group standing next to each other in a line. Within the role play we were being asked questions which were related to our physical, mental and financial situations and could be answered with yes or no. If our given roles could answer the question with yes, we had to take a step forward. After finishing the questions we could all notice that some of us were ahead of others. This indicated that certain roles had better living circumstances, which made sense when we shared our given roles with one another. While some of us were ambassador children who lived privileged lives in foreign countries others were minors who came as refugees to a foreign country. This exercise showed that the realities of migrants and refugee can differ a lot. One of the most interesting exercises connected to this was the drawing of our own lifeline. The assignment was to draw our own lifeline and highlight certain years or periods. Specifically, we had to point out the years in which we first notice migration. Moreover, we also had to mark the year or time period in which we ourselves thought about eventually immigrating to a foreign country and what circumstances caused this thinking. Lastly, we also had to point the year in which we first notice refugees or thought about this topic. This exercise showed us that the presence of the topics in our own life is quite relevant and can easily effect us. An other highlight of the Training course was the public event “Living Libraries” where people act as Human Books sharing their story with others. 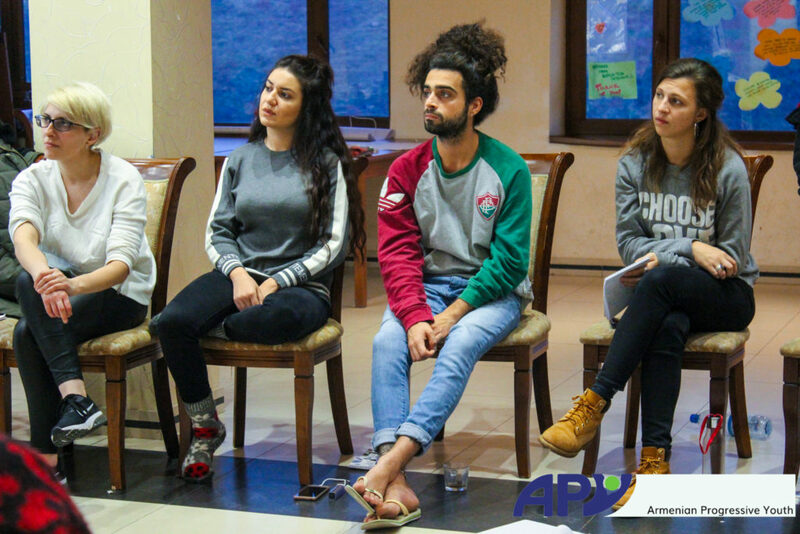 With in this event we had the chance to hear different life stories of refugees and migrants of different age groups and backgrounds who are currently living in Armenia. In the event there were multiple desk and on each one a “Human Book” was sitting. We could choose for multiple rounds where to sit and which story to listen to. Also, this event allowed us to ask individual questions to the “Human Book”. This event gave us the chance to listen first hand to people, their backgrounds and thoughts on an individual level. We were able to see real faces and real emoticons which made their stories in comparison to read about it in the newspaper more realistic and understandable. In addition to that we also visited the UN embassy in Yerevan and talked with the chairwomen of the UNHCR, the United Nations High Commissioner for Refugees. She talked to us about the situation of refugees in Armenia and showed us which helping role the UNHCR has in this process. 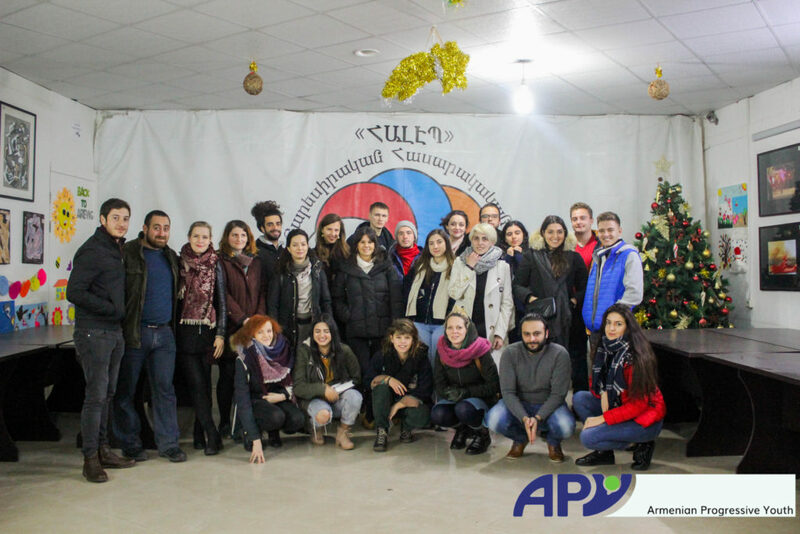 Afterwards we also visited Aleppo-NGO, which was established in 2013 and is a charitable and non-governmental organization which helps Syrian refugees with integrating in Armenia while assisting with bureaucratic processes, housing, schooling and employment opportunities. All in all the Training course was really helpful to understand and learn more about the topic of migration and refugees. With our mixed backgrounds we were able to learn from one another and share experiences. 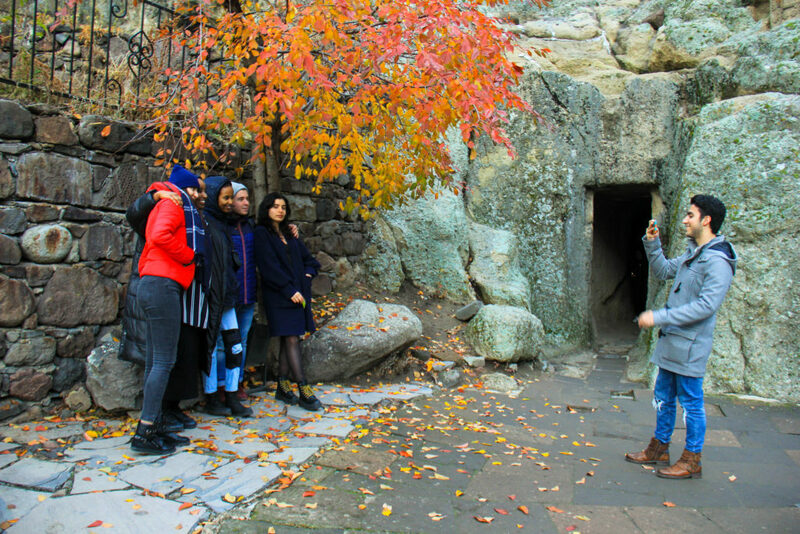 Also exploring Armenia, visiting the city of Yerevan, the Blue Mosque, the historic Garni Temple and Geghard Monastery, tasting traditional dishes as well as the Armenian pomegranate wine made this week unforgettable. Also I am very thankful to be able to take part in this training experience and would like to thank the organization , JuBuk, all participants and especially the workshop coordinators, who have made this training a big success and most memorable.